Welcome to the gorgeous mountain vacation community of Laurel Hill, located in Pigeon Forge, Tennessee. This amazing community features a variety of cabins that are capable of housing vacation groups of various sizes. These properties also include multiple decks for viewing the gorgeous surrounding scenery, hot tub, pool table, full kitchen, and so much more! 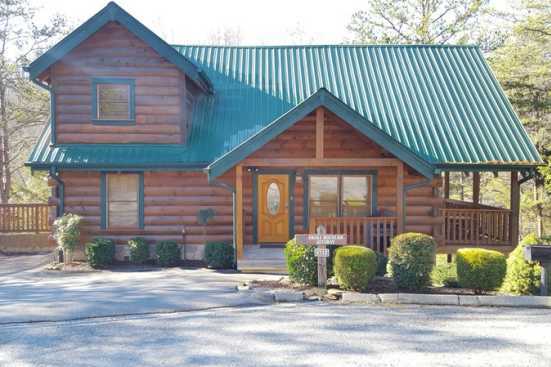 The cabins are also situated in a prime location so guests can enjoy wilderness seclusion while being only minutes from downtown Pigeon Forge. Pigeon Forge, Tennessee is a fantastic vacation destination for many reasons! Be sure to visit the art district while in the area and checkout the various local artwork. Everything from woodwork to hand painted canvases are available in the district. Looking to reward your children for being good on vacation? Pigeon Forge features multiple candy shops with hand made taffies as well as various other sweet treats. Bring the kids to the shop and let them enjoy! Golfers vacationing in the area can rest assured that there are various local courses only minutes from their cabin. Don’t forget to stop by and check out the breathtaking Smoky Mountain National Park while in the area. Book Laurel Branch cabins in Pigeon Forge, Tennessee directly with owner and save! Booking directly with owner assures guests get the best possible rate and save money on unnecessary fees.